For suspended timber and composite joists, typically found in new build and renovation projects - Polypipe offers a range of unique pre-insulated and pre-configured systems, as well as more traditional suspended floor underfloor heating options. Giving you a solution for every type of suspended floor installation. 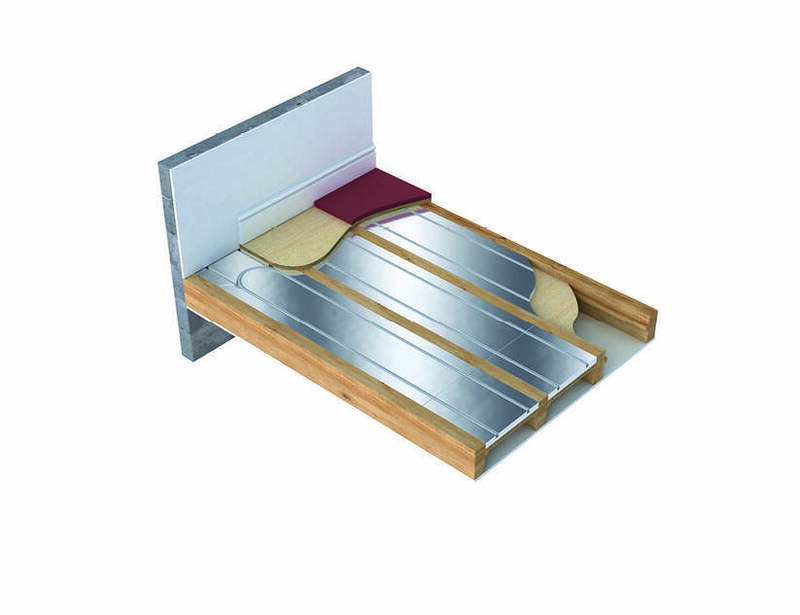 Offering a simple installation system for traditional joists and spacings, Double Heat Spread Plates can be used in 'sprung flooring systems such as sports halls. This system uses aluminium Double Heat Spreader Plates to transmit the heat evenly across the finished floor surface. For enhanced performance, especially over larger floor areas, use with our new Overlay™ Lite 15 panels for an integrated insulated solution. Suitable for use with traditional or composite joists, this system offers the ability to fit from below, even if the floor above has already been installed. Perfect for cellars or where upper floor coverings are already in place. For the ultimate quick and easy installation solution, use our pre-configured, insulated panels that include all the systems components already integrated. The panels are supplied in sized panels which are simply fitted and connected together on site. For use with our 15mm pipe systems. All suspended floor systems are fitted within the joists so do not add any build heightb to the floor.